Occasional musings by Nigel Fletcher, founder of the Centre for Opposition Studies and former Councillor in the Royal Borough of Greenwich. 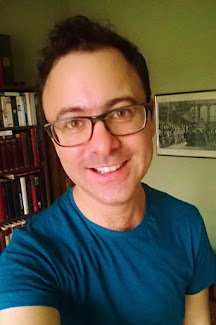 Posts on political opposition, local issues and such other aspects of life's rich tapestry as take the fancy of this tea-drinking, history-obsessed gay Tory. Today, the campaigns have been suspended, and politics is in mourning. The horrific murder of Jo Cox MP stunned Westminster and brought the frenetic circus of referendum activity to a sudden halt. As tributes are paid to a genuinely respected and much-loved colleague, wife and mother, politicians from all parties and both sides of the EU debate are united in sorrow and sympathy. Differences are set aside. This will not last. After a respectful pause, the campaigns will start up again. With less than a week to go until polling day, there is a big decision to be made on the EU, and politics must go on. After that, there will be other campaigns, other elections. Despite this brutal attack our democracy endures, and politicians will go on working hard to fight for the causes they believe in and to serve those they represent, as Jo Cox did. That is only right. But perhaps we can use this pause in political hostilities to reflect more deeply. 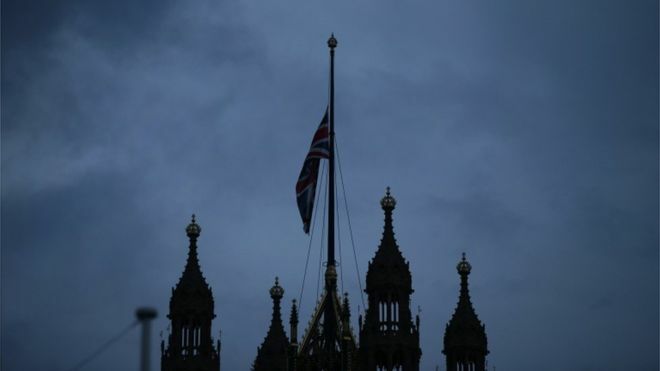 Already, in the aftermath of the tragedy, we have seen a wave of sympathy and appreciation directed at MPs in general for the work that they do. The hashtag #ThankYourMP became a trend on Twitter, as people took the opportunity to express a gratitude too rarely seen nowadays for those in public life, who are more often denigrated, insulted and abused. Amen to that. What is too often lacking is a sense of perspective, and generosity of spirit. Of course MPs make mistakes - they are human, after all. And of course they often take decisions with which we will fundamentally and passionately disagree- that is their job, and is in the nature of politics. We get to pass judgement in the ballot box at election time, and enjoy freedom of speech to debate and argue with them between elections. We can do so vociferously and with feeling. But is it really necessary to impugn their personal motives, call them liars and cheats, and claim they are acting from cynical and selfish motives? Does that help encourage other good people to enter public service? So yes, we should be more appreciative of our MPs and other elected representatives, and the fact the vast majority of them are dedicated, hard-working people trying to do their best in an often impossibly difficult job. I hope the outpouring of such a sentiment in the wake of yesterday's dreadful tragedy might have some lasting impact on how people think about their politicians. As politicians we need to consider how personal abuse undermines our own claim for the respect of others. Is it surprising that voters resort to calling us liars and selfish cheats if that is what they hear us say of each other? The EU referendum campaign had already become an unpleasant mud-slinging contest that has debased the currency of debate on both sides, as even one battle-hardened former colleague of mine has eloquently written. Negativity begets negativity in a downward spiral towards ever-greater mutual distrust, and hatred. If we feed it as politicians or as voters, we will reap the backlash in the form of increasing division in society and rising extremism of all sorts. Yesterday, just hours before Jo Cox was attacked, Nigel Farage stood before a repulsively crude anti-immigrant poster that was roundly condemned as racist and akin to Nazi propaganda of the 1930s. That should have no place in mainstream debate, whatever your view on the EU - but nor should it tempt us into intemperate abuse of the many decent Leave supporters. We need to break the cycle of negativity. In his unbearably moving statement yesterday, Jo Cox's husband Brendan wrote of how he thought she would want people to react to her death. He said her wish would be 'that we all unite to fight against the hatred that killed her.' To do that, we should start by draining the vitriol and poison from our politics. So yes, the campaign busses will roll again, and politics will go on. Slogans will be exchanged, and arguments made. But before that happens, let us pause to reflect on how we treat each other, as politicians and voters. Let us remember how the brutal murder of an honourable and good-hearted politician made us feel. And let us resolve to be kinder. I knew it would be good - I just didn't think it would be that good. The Prime Minister had a fairly easy task today - the first Conservative leader to win a majority in 23 years, with a result that was actually an unprecedented achievement for a Prime Minister, he was always guaranteed a pretty warm reaction from the party in the hall. And with a Labour opposition having fled to the fringes of British politics, even a moderately good speech would have been lauded in comparison to that given by Jeremy Corbyn last week.So David Cameron would have been excused some triumphalism today - wallowing in his unexpected victory, whilst throwing some red meat to traditional Conservatives and veering right to win easy applause. He not only resisted the temptation- he did the precise opposite. When your opponents have vacated the moderate centre-ground, you can do one of two things: Follow suit by heading in the opposite direction, or seize that ground for yourself. He chose the latter, and then some. Where he could have played it safe, he redoubled his efforts to challenge the party and broaden its appeal. 'Ten years ago, I stood on a stage just like this one and said if we changed our party we could change our country. We’ve done that – together. I didn’t campaign on the NHS alone – you joined me. That was the historical background, and it was gratifying for those of us who consider ourselves Tory modernisers to hear that vindication, and his unapologetic pride in his progressive achievements. But it was only the beginning. 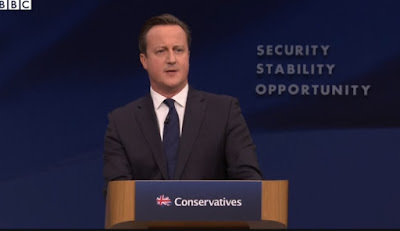 The rest of the speech today brought wave after wave of renewed, centrist ambition. He reclaimed the mantle of 'One Nation', declared his determination to deal with deep-rooted social problems, deal with the housing shortage, launch an 'all-out assault on poverty', reform prisons and improve social mobility. 'We can talk all we want about opportunity, but it’s meaningless unless people are really judged equally. Think about it like this: Opportunity doesn’t mean much to a British Muslim if he walks down the street and is abused for his faith. Opportunity doesn’t mean much to a black person constantly stopped and searched by the police because of the colour of their skin. 'Opportunity doesn’t mean much to a gay person rejected for a job because of the person they love. It doesn’t mean much to a disabled person prevented from doing what they’re good at because of who they are. I’m a dad of two daughters – opportunity won’t mean anything to them if they grow up in a country where they get paid less because of their gender rather than how good they are at their work. The conference delegates rose and applauded. It was quite a moment - and along with the rest of today's speech, a potent symbol of how Cameron has genuinely led his party, rather than followed it. Ten years ago, a plucky outsider stood before a defeated party and told them to choose the difficult path of modernisation and reform instead of retreating to their comfort zone. Today, a victorious Prime Minister stood before his party and his country and left them in no doubt he is sticking to that path. He was right to do so, and they should trust him again. The ‘sweetest victory’ in history? When he walked back through the front door of 10 Downing Street a week ago, David Cameron walked straight into the political history books. A cliché? Perhaps - but in this case, a deserved one. Whatever else he does in his remaining term as Prime Minister, the fact he has secured such a term at all is an achievement no-one can take away from him. As the dust settles and the political drama moves on, it is worth considering for a moment just how historic a feat this was. Yes, he is the first Conservative leader to win a majority in 23 years, and on Tuesday chaired the first all-Conservative cabinet since 1997. Yes, the 11.3 million votes he secured was more than any leader has won since Tony Blair’s landslide in 1997 (more than Mr Blair got in 2001 or 2005, and of course, more than Mr Cameron himself won in 2010). But that is just scratching the surface. Many comparisons have been made with 1992 - but of course John Major’s victory then, though impressive, was on a reduced vote share and number of seats. Some have mentioned the year 1983 as the last time a sitting Prime Minister won an election whilst increasing their parliamentary seat tally. But Mrs Thatcher did that whilst seeing the Conservative share of the vote decline slightly – and it was the Labour Party’s weakness and loss of votes to the SDP/Liberal Alliance which gave her a landslide in terms of seats. So we go back further – to Harold Wilson in October 1974, when he increased the Labour Party’s share of the vote and number of seats, to win a narrow majority. But this was not after a full term in office - he had only been back in Number 10 since February that year, when an indecisive election had led him to form a minority government. Back we go to 1966, when, again, Wilson had increased Labour’s vote share and number of seats. But as with 1974, this was an opportunistic ‘cut and run’ election with Wilson consolidating his position after less than eighteen months in power. Another year mentioned by commentators over the last week has been 1955 – when Anthony Eden won a Conservative majority with an increase in share of the vote and seats. But he was a new Prime Minister, having taken over from Churchill only weeks earlier. To find a Prime Minister who improved their position after serving a full term in office we have to go back to Lord Salisbury, who won a higher vote share in 1900 than he had in 1895. But this resulted in a reduced number of seats. I have tracked back through every previous General Election, trying to find a parallel for what David Cameron achieved last Thursday. I thought maybe Lord Liverpool’s result in 1826 might be the nearest approximation - but as that was before the Great Reform Act, the vast majority of the population had no vote and only 29 per cent of seats were even contested. So that and previous elections cannot reasonably be said to be at all comparable in terms of a democratic mandate and vote share. So I was left with post-1832 history, when the electoral franchise began to be extended and the concept of the popular vote started to mean anything. We should really only compare elections since 1918, when the vote was extended to women and the property requirement was dropped, but stick with me – I was trying to find any sort of parallel. And here’s the thing: There isn't one. Not one. Either the incumbent’s vote share decreased, or they fell short of a majority, or they hadn't served a full term - even if we are generous and count a ‘full term’ as four years, rather than the statutory five (or seven, prior to 1911). What we saw last week simply hasn't been done before. During the 2015 General Election campaign we heard interventions from a couple of successful former Prime Ministers: Tony Blair – the only Labour leader to win three successive majorities, and whose 1997 landslide was the most seats ever won by his party; and John Major, who in 1992 won for the Conservatives the most votes – over 14 million – that any Prime Minister has secured, before or since. 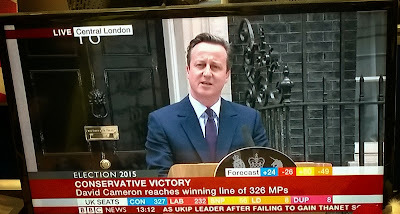 To those records we can now add that of David Cameron: The first and only Prime Minister to have managed, after a full term in office, to win the popular vote and a parliamentary majority with an increased vote share and increased number of seats. The 'sweetest victory' indeed. History is written by the winners, they say- but sometimes the winning writes its own history. "Je suis Charlie" - Unless I choose not to be. I've thought a lot about whether to blog on the subject of the brutal murder of the Charlie Hebdo journalists, and the police officers who tried to protect them. A crime such as that is so obviously evil that there doesn't seem much more to say than to just condemn it outright. 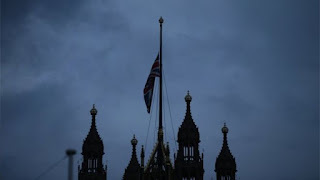 But the specifics of this latest terrorist outrage, being such a direct attack on freedom of expression, have provoked much emotive and thoughtful commentary on the complex issues of freedom, religion and fear. I may not be adding much to that debate, but it prompted me to examine my own reaction. In response to the attack, many have posted examples of Charlie Hebdo's cartoons as an act of defiance. I genuinely admired that sentiment, and the sight of Londoners gathering in Trafalgar Square in a spontaneous show of solidarity was profoundly moving. I would have been there too if I could. But though I used the "#JeSuisCharlie" hashtag and expressed my support, I chose not to retweet or share any cartoons myself. Why not? I've thought a lot about that, and I think I understand my hesitancy. It wasn't just fear (to which Dan Hodges boldly confessed in his own case), but perhaps also a sense of not wanting to be provoked to do something I wouldn't normally do. Of course, the whole point of an act of defiance (or tribute) is that it is symbolic. You may never have heard of the magazine or seen its cartoons, but by reposting them, you are making an important point: Violence will not stop us from expressing ourselves. That is a noble idea. But as I've seen several people noting in the days since the attack, Charlie Hebdo's cartoons were notably crude and offensive, and would be judged by many (not just pseudo-religious killers) to be in bad taste. From those I've seen, they're not the sort of thing I would "Like" or share on social media in ordinary times. Call me a wimp, but I generally flinch from things which are clearly designed to offend others in a provocative way, as the most biting satire inevitably does. Just as with a shockingly rude comment or tasteless joke, it provokes in me a sharp intake of breath and a muttered "that's not very nice." I often say I wish people could be a bit nicer to each other in politics, and I apply that to life generally. But, crucially, I also believe emphatically in freedom of expression. I accept that freedom of expression means the freedom to offend me, and anyone else. The freedom to write rude things about people, and to draw crude cartoons of them is the same as my freedom to inhale deeply and say I think that's a bit much, or that I don't find it very funny. I believe freedom of expression should be used responsibly, and in a way that shows respect for others. But the fact others can choose to disregard such restraint is how I know I am free. For example, I find much partisan political debate puerile, depressing, and personally unkind. I roll my eyes and deplore a lot of the behaviour at Prime Minister's Questions. But I would never argue that the weekly circus be abolished. The fact the leader of our country can be taunted, mocked and insulted to his face by our elected representatives every week is symbolically important. It's not pretty to watch, but the fact it happens should reassure us. In the same way, the fact a magazine like Charlie Hebdo can exist is more important than whether we happen to approve of its content. This is hardly an original or complicated thought, and is often summed up in the phrase wrongly attributed to Voltaire: "I disapprove of what you say, but I will defend to the death your right to say it." Wednesday's murderous attack demonstrated the potency of those words in a chillingly literal way. particularly when one of the policemen killed was revealed to be a Muslim, who gave his life defending the right of others to mock his religion. The question of whether news organisations and people in general should now unite in reproducing the cartoons is not simple. There is plainly the very real fear that doing so places yet more people in danger of attack. And there might also be a suspicion that we are to some extent being manipulated by the terrorists into doing just that, to provide them with as perverted a justification for their next atrocity as they have used for the last. But we should also ask ourselves how we would respond if the attack had been on, say, the offices and staff of a pornographic magazine. Would we feel obliged to demonstrate our defiance by sharing graphic images? I suspect not, but our defence of their freedom of expression in the face of violent intimidation should be as strong. To me, declaring "Je suis Charlie" is not to agree with the editorial line for which the magazine stands. It represents the fact that if I wanted, I or anyone else could express myself as they do. I choose not to. But that's freedom. Having revived this blog in the summer in the wake of my electoral defeat, and been rather gratified by the response my musings on that subject evoked, I thought I should return briefly to the subject here - I mean, why change a winning (or losing) formula? So at risk of sounding tiresomely self-indulgent, here goes. After been ejected from the Town Hall, this is the first Christmas since 2004 that I haven't been a Councillor. More pointedly, it's my first as an ex-Councillor. This has had a number of noticeable effects, I've discovered. Towards the end of November I instinctively began to do my Christmas planning, to sort out which local events, parties and meetings I would need to fit in around this busy time. Carol services at various local churches, festive markets and celebrations around the Borough - and of course there was the extensive Christmas card list to tackle... it took a little while for it to dawn on me that things are different this year. Put bluntly, that's not my job any more. Carol services and Christmas markets are great fun, but as a local representative it feels like a duty -albeit a pleasant one- to get round to as many as possible. Like the classic Vicar of Dibley episode, you accept all invitations and end up rushing from one event to another to show your face, meet people, thank them for their efforts and show your support for community groups and charities (and, of course, to get lots of photos to put on Twitter charting your festive marathon of mince-pie eating in the public interest). It's what local politicians do - and rightly so. But I'm not one of them any more. So I shelved Operation Goodwill to All and embraced a different approach. Instead of having to cross-reference committee meeting dates with the local "what's on" pages, I was able to start with family and friends - those who have too often in the last decade found themselves fitted in around other commitments. So at the start of December I headed off to Cambridge to stay with a college friend I haven't seen in a while - then spent a lovely long weekend at a country house in Suffolk with a large group of old friends for our now-traditional early festive celebration. Unlike in previous years, I didn't arrive late, or spend any time fretting about the events I "ought" to have been at. I just enjoyed their company. This week, I returned to the south coast for a friend's funeral. It was heart-wrenchingly sad, but I was glad to be able to drop everything to attend, without having to cancel other arrangements or send apologies. And instead of rushing back to London, I was able to spend a couple of days with my parents. This weekend I'm going to a number of birthday and Christmas celebrations that in previous years might have been squeezed out or foreshortened by Councillorial duties. Then on Monday I'm setting off for a family Christmas earlier than I might otherwise have done. So it has been somewhat liberating, and a welcome chance to catch up properly with people who are important to me. But I would be lying if I said I didn't also miss the festive round of civic engagements, and the feeling of having a formal role in my community. Since May, despite still being very interested in local politics, I've resisted any temptation to go along and watch Council meetings from the public gallery, not wanting to haunt the chamber in which I no longer have a seat. Part of me felt the same about community events I used to attend - isn't it a bit sad to keep turning up at things now I'm a has-been? That, I realised, was the wrong way of looking at it. I'd lost an election, not been sent into exile. I'm still a local resident, I'm fortunate enough to own my flat in the heart of my old ward, and I still enjoy living here in Eltham. I'm also (party politics of its leadership aside) immensely proud of the Royal Borough of Greenwich: it's a beautiful place to live, with lots of wonderful things to do, and full of friends and acquaintances I've met over the years. Why on earth wouldn't I continue going to local events? And so I have: the Summer Fayre at Well Hall Pleasaunce, Medieval Jousting at Eltham Palace, the Tall Ships Regatta, Eltham Lights Up - and many others. The only differences are that I'm now going to them purely because I want to, and that I don't feel a politician's urgent need to have my photograph taken to prove I was there (now, any selfies are just for fun - or regular Facebook vanity). No longer having any civic obligation, I've been gratified to find that many of the things with which I filled my diary as a Councillor were genuine pleasures. So it is at Christmas, too. Local festive events are pleasant, and reinforce that warm feeling of being part of a community, whether you have a formal role in it or not. So whilst I've rebalanced my diary in favour of loved ones this Christmas, I'll still find time for a few local celebrations too. Just not ALL of them. The weekend was going so well, too. Despite the temptations of the sunny weather and a number of fun local events, I'd put myself in lockdown at home to work on my PhD thesis, and by mid-morning on Saturday I was pleased with progress. I was just transcribing some quotes from Harold Wilson on Privy Council briefings when chatter from outside caught my attention and I saw them- walking past my flats, a group of Labour activists led by the local MP, Clive Efford, on their way to get that 'great reception on the doorstep' politicians always insist on relating. I gave a wry smile, and considered knocking on the window and waving, but they had already gone past. Thinking back to how many Saturdays I've spent engaged in such activity over the years, I allowed myself a pang of nostalgia, then got on with my work. A couple of hours later, after I'd established that Wilson never would arrive at a consistent spelling of "Privy Counsellor", I heard the main door to our flats slam, and footsteps on the stairs. Then the rattle of my letterbox startled the cat, as something was shoved through and landed on the doormat. Our post is normally put through the main door, and my neighbours and I have been cautious about letting random people into the block since we were burgled a couple of years ago, so I went to investigate. "For too long we have had Councillors who did little for the local area. Wynn and I are going to change that." My smile vanished, as though I'd been slapped in the face. I read it again, my heart starting to thump, and heat rising in my cheeks. Was I reading it right? Maybe it wasn't... no, it was quite clear. They mean me. Indignation and anger began to rise- how dare they? I instinctively went back into campaign mode- typical Labour propaganda...really, if that's the best they... We need to rebut this - fire up the printer and the folding machine... It took me a moment to realise: There won't be a rebuttal. The campaign's over. I lost. I'm not a Councillor; I'm not a candidate. I'm just a guy standing in his hallway clutching a piece of paper, being given quizzical looks by his cat. The main door downstairs slammed again, and I went to the window, but too late to catch sight of the deliverer. I just stared out of the window at the houses and rooftops of Eltham North... "did little for the local area"... Traffic rumbled along the road, and people walked past on the pavement opposite... "did little for the local area"... I couldn't stop thinking about it. Is that really what they think? Do they ALL think that? Is that why I lost? Could they be right? I sat down again, and tried to get on with my work. But Harold Wilson couldn't hold my attention. I kept being distracted - "did little for the local area" the words wouldn't stop circulating in my head. Maybe they were right. What HAD I done? I looked over at a pile of Council papers gathering dust in a corner - committee documents, copies of the local masterplans, charity reports, cuttings ripped from newspapers, pages of my scrawled notes, letters... what did it all add up to? What had it all meant? I mean, of course I thought I was doing my best, and working hard. My evenings had been full of committee meetings, residents meetings, visits - my weekends full of community events and endless paperwork. I'd campaigned against parking charges on the high street and threats to build on Eltham Park, raised concerns about the conditions faced by Council tenants and leaseholders, helped vulnerable people to be rehoused... yes, I could reel off a list of such things. But did it matter? Did anyone notice? And what about my former colleague Dermot Poston? First elected in 1968, he served the area for decades before standing down at the election in May. A local legend, wise, popular and deeply involved in the community, he was awarded the MBE last year for his efforts. Did they mean him, too? "did little for the local area"... If half a century of dedicated public service didn't count for much, what chance did my measly nine years have? What had it all meant? I was 24 when I was first elected - a typical cosmopolitan Londoner, who'd moved through a succession of shared houses and rented flats since university. Eltham was the place I had settled. I put down roots - and I had bought my flat. This flat. It had become my neighbourhood, and I cared about it a great deal. That had softened the blow of election defeat - I might have lost a seat, but I was still involved in my community, and had done some good for it whilst on the Council. I'd done my bit. Now, even that shred of reassurance was shot away. That community, and I, was being told by our local MP and local Councillors, people representing us as I had sought to do, that I "did little for the local area". It was infinitely worse than being defeated in the election - nearly a decade of my life was being casually and scathingly dismissed. They'd beaten me, and now they were mocking me, in my own home. It really hurt. I felt like a miserable failure. Call me a drama queen, but I shed a tear or two. Don't worry - I've pulled myself together since then. I know it was just a throwaway line - a piece of political rhetoric made in the first flush of triumph by the winning side. The new broom, relishing the challenge and setting about the job with enthusiasm. I shouldn't take it personally- that's politics, isn't it? Perhaps a bit gratuitous in the light of the result, but heh. I know how hard I worked, and the many quiet achievements in which I can still take pride. No leaflet can take those away. Of course I would have liked to do more - one of the problems and frustrations in the way local democracy works is how little power ward Councillors have to make changes. Perhaps my Labour successors will discover that for themselves in time. Often all you have is the ability to make a noise and use the platform you have to raise concerns. But using your platform still matters. Words matter. And harsh words can wound. As I blogged recently, politicians on all sides would do well to try and be a bit kinder in the words we use. I consider myself fortunate to have been given the chance to take a step back and reflect on many things over the last couple of months. If I occasionally lapsed into the rhetoric of unfair attack in my time, I regret it. Politics is a battle of ideas, not personalities. I can see now, if I didn't see it before, that negativity often demeans you more than your intended target. In the window of the Eltham Labour HQ, which I have to pass several times a day, there is a tribute to the late Tony Benn. Many people noted when he died that however strong his convictions, he always rejected making personal attacks on his opponents. It isn't an easy standard to live by, but it's well worth the effort. In that spirit, I forgive my Labour successors their moment of triumphalism. As a resident, I want them, along with my friend and former colleague Cllr. Drury, to stand up effectively for our community. It is far harder than it should be, and I wish them all the best with it. Inspiration can be found in the strangest of places. Whilst many people will say they took profound lessons from great thinkers, religious texts and political tracts, I'm willing to bet more of us than would like to admit it have also been struck by words of wisdom from rather unlikely sources. Sometimes they can be the simplest and most obvious sentiments - but as the framers of the US Constitution could tell you, declaring a truth to be self-evident doesn't lessen its impact. So it was with Les Dawson. A couple of years ago, a biography of the late comedian was published, written by my friend Louis Barfe. 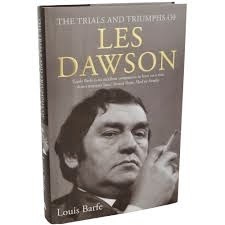 It was as meticulous and engaging a read as I had expected from someone with Louis's dry wit, encyclopaedic knowledge of British light entertainment, and passion for the subject. It presented Dawson as a warm and generous man, with little of the "dark side" that haunted so many of his contemporaries. It was an uplifting read, but what struck me with unexpected profundity was a mention on the very last page of Dawson's philosophy of life. It was just two words: "Be kind." Simple. Obvious. Almost trite in its simplicity. But it really struck a chord. I am lucky to have had some wonderful role models in my life - people whose generosity and love have shone through as an example to which I could aspire. But I would struggle to summarise the many things I admired or sought to emulate about them. But there, in a book about an earthy northern variety comedian, of all places, I had found it: "Be kind." The power of the phrase only becomes apparent after some reflection, when you've applied it to a variety of scenarios and examples in your everyday life. In a bad mood and ready to snap at someone? You know you shouldn't, but hell, you're having a bad day and...no, no... it's not their fault- be kind. Found some dirt about a colleague you don't like and tempted to cause some trouble with it? Been riled by an email and about to respond with a passive-aggressive riposte? Seen a commentator on TV you can't stand and about to send a tweet saying how you'd probably punch them in the throat? Don't. Not just because it's a negative and counter-productive way to spend your time. Not just because it's silly and likely to cause you more trouble than it's worth. But - in all those examples - because it's just unkind. Politics in particular needs a hefty dose of Dawsonism. The Michael Fabricant tweet was rightly deemed unacceptable by all sides, but there are plenty of other examples of meanness of spirit and plain nastiness that seem to pass without comment, or a shrug of "That's politics". The political journalist Isabel Hardman made the point very well last night, tweeting: "I do find political tribalism really, really weird when it gets all 'ooh, your side want to kill babies' rather than just 'you're wrong'", adding "Life's too short to get all angry. Eat some cake and then tell your political opponent they're wrong." It's a simple lesson - but (cake aside), it's one that can be tough to follow, as all the best ones are. Passions inevitably rise high in politics - as they should on issues of importance where deeply-held convictions are at stake. But even fundamental disagreements don't have to spill over into personal animosity. There are too many people in politics willing to demonise their opponents and slur their motives, rather than their policy. "Tory scum"; "Evil socialists" - derogatory prejudice that we would abhor if based on religion or ethnicity are tolerated too often in the underlying culture of political discourse. The main parties' messaging can too often slip into personal attack mode, refusing to concede an opponent could possibly be well-meaning if their favoured solutions differs from their own. It is depressing, and it is unnecessary. Those who entrench personal animosity alongside political differences are missing out on a lot, and making their own lives a bit more sad. I get on well with many people whose politics I will never share, but whose company I enjoy. And when I genuinely dislike or am annoyed by someone - for whatever reason - I try to pause before giving vent to my irritation. When I do pause, I now have my two-word mantra to mull over. So my advice to the political classes (and not just on Twitter) is to do the same: Take a deep breath, think about what you're about to do, and listen to Les.